Avery Mews is a modern, care home with views of the Spen Valley Greenway with residential and dementia care units and a team of professional care staff tending to resident needs. The home offers palliative, dementia, respite and residential care. Bedrooms at Avery Mews are set across two floor, while each floor has its own living room and dining room, allowing residents to relax and socialise. The home is surrounded by its own landscaped rockery garden and a popular patio area outside the ground floor dining room, while residents can easily access and be involved with their local community. 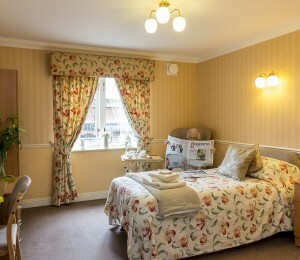 Care workers help residents to arrange their rooms how they wish to help them feel at home. We understand that moving into Avery Mews will be a considerable transition, but one we try to make feel as easy as possible. Your room is your own personal space, which is why we encourage you to personalise your room if you like, by hanging your favourite pictures or bringing small pieces of furniture.